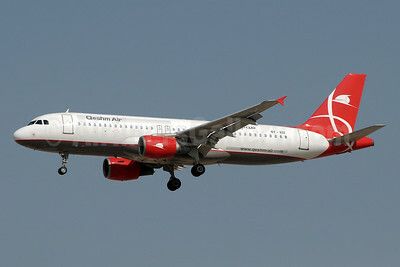 Qeshm Airlines (Asian Express Airline) Airbus A320-214 EY-632 (msn 617) DXB (Paul Denton). Image: 921974. ← JAL-JAL Express Boeing 737-846 WL JA331J (msn 40346) (Let’s go to Tohoku!) HND (Akira Uekawa). Image: 921862.